Tell a story! Plenty of space for lots of photos and fun designs. Make your cards truly amazing with PurpleTrail's tri fold cards. PurpleTrail tri fold cards are an exceptional way to send cards, announcements and invitations. PurpleTrail designers have designs for holiday tri fold cards, New Year's tri fold cards, birth announcement tri fold cards business tri fold cards, graduation tri fold cards and more. tri fold cards make any card extraordinary. Create stylish tri fold card keepsakes in the PurpleTrail Design Center. PurpleTrail wants you to love your cards and invitations. 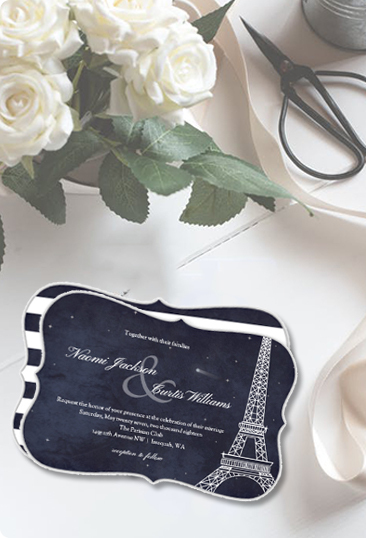 Start personalizing your tri fold greeting cards, party invitations and announcements today! PurpleTrail offers a way to take your cards to the next level. Create spectacular tri fold cards in the PurpleTrail design center. You can customize all six sides of PurpleTrail's tri fold cards. This means more space for creativity and design. 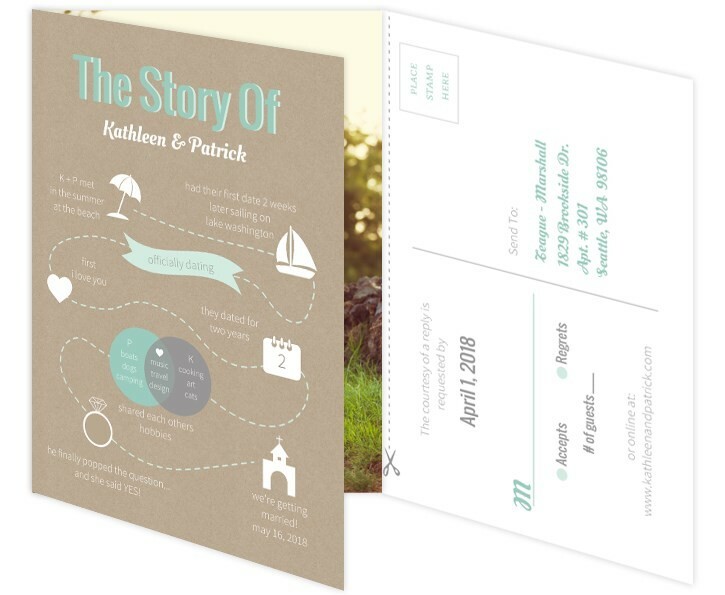 Our designers have created amazing tri fold card designs for you to personalize or you can create your own. PurpleTrail tri fold cards are available in 4" x 5.5", 5.25" x 5.25" card sizes. Customize tri fold cards the next time you need to send out cards, party invitations or announcements. PurpleTrail tri fold cards are a beautiful way to send season's greetings this year. Whether you want to send Christmas tri fold cards, Hanukkah tri fold cards or New Year's tri fold cards, you can easily personalize your tri fold cards using the PurpleTrail Design Center. tri fold cards also make a great Christmas letters. You can add in photos and text to share your glad tidings and holiday cheer. When you order professionally printed holiday tri fold cards from PurpleTrail you can choose from either our standard card stock or our premium card stock. 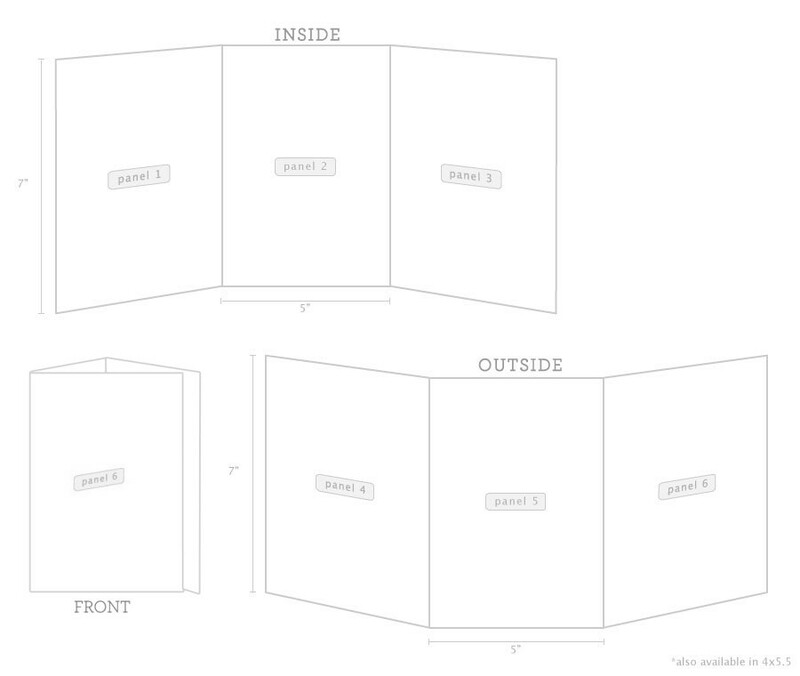 Each style offers a spectacular, memorable tri fold card. Send festive New Year's cards with tri fold cards from PurpleTrail. Our tri fold cards are the perfect way to welcome the New Year. tri fold cards have six sides to personalize leaving room for lots of creativity. You can create a New Year newsletter and add photos alongside your New Year's wishes. PurpleTrail's New Year's tri fold cards are perfect for Rosh Hashanah and Chinese New Year too. What better way to reach out to family and friends than to send amazing New Year's tri fold cards from PurpleTrail.